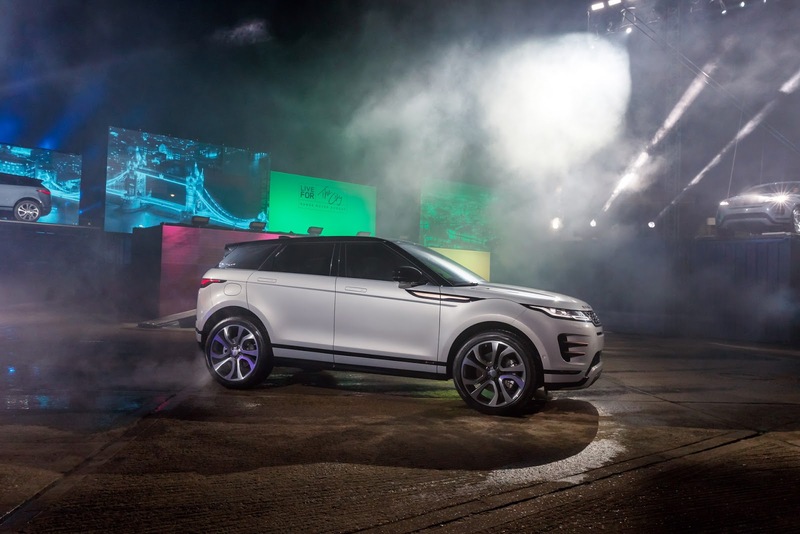 A Look At The New 2020 Range Rover Evoque - AutoReportNG "AutoReportNG-The No 1 Car Blog In Nigeria That You Can Trust - AutoReportNG"
Say hello to the second-generation Range Rover Evoque, arriving seven and a half years after production of the outgoing model commenced. Despite the age gap, the crossovers share an obvious resemblance. In designing the all-new 2019 Evoque, Land Rover opted against ditching the current model’s much-loved sporty design and have retained the same basic shape we’re familiar with. Viewed from the side, the new Evoque’s profile is almost identical to the original. That’s no bad thing, however. While the Evoque’s shape hasn’t changed much, it does look significantly different in its second generation. 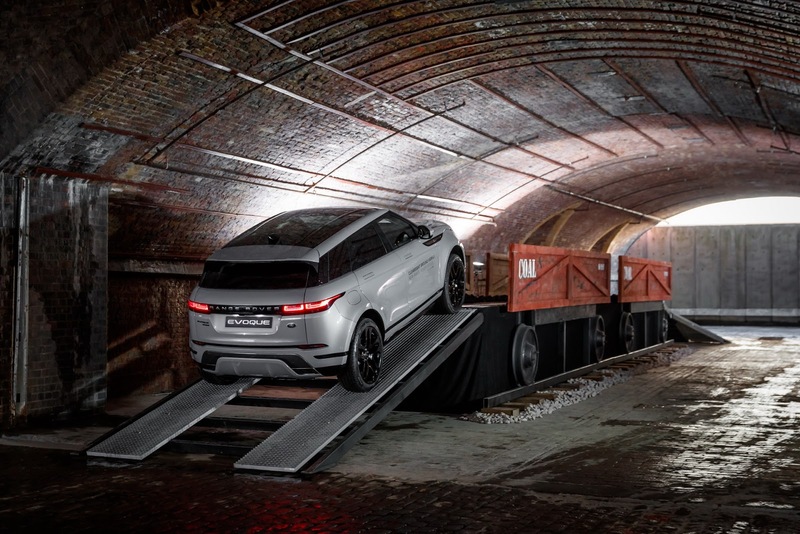 At the front, Land Rover has taken obvious design inspiration from the mid-range Velar incorporating similarly-slim headlights and a narrow front grille. 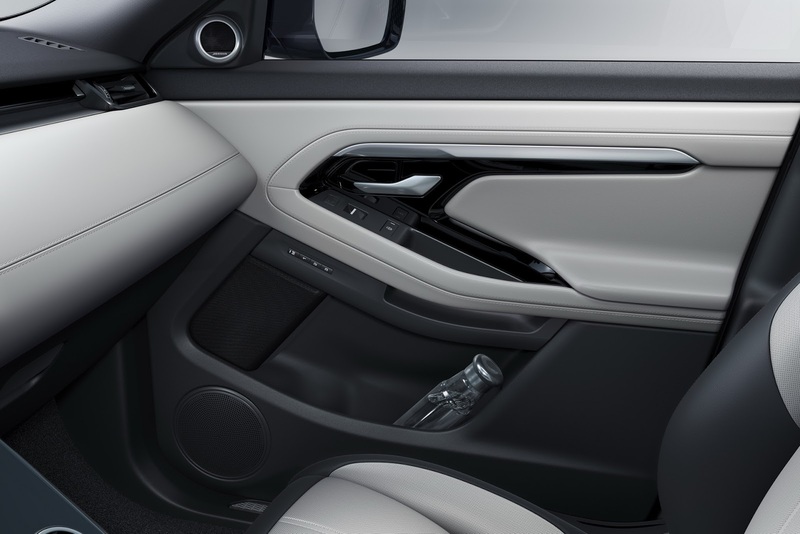 In certain specifications, the 2019 Evoque has largely-identical front air intakes to its older sibling. Again, that’s no bad thing but it could make differentiating between the two in traffic quite difficult. 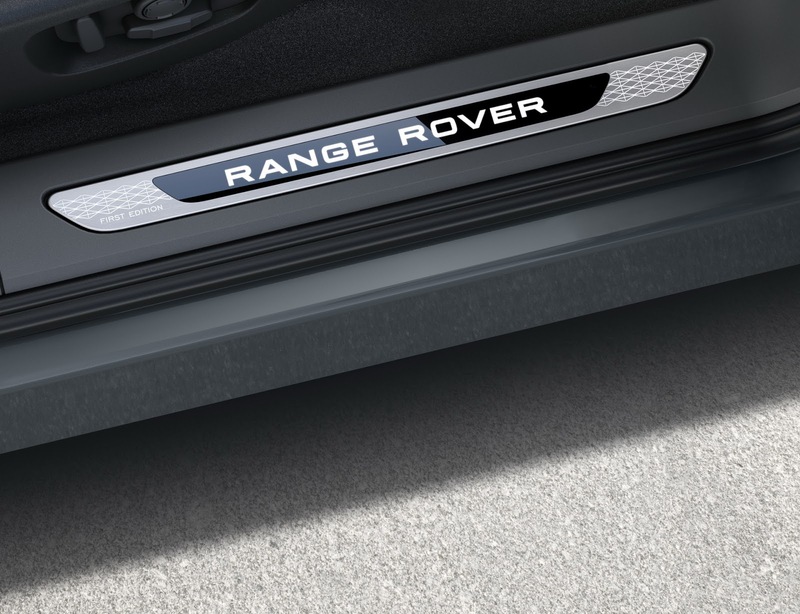 Much the same can be said about the second-gen Evoque’s rear fascia. It too is very similar to the Velar thanks to the thin taillights. The shorter rear overhang does make it look a little better, however. Surprisingly, the new Velar doesn’t utilize an all-new platform and instead rides on an updated version of the D8 architecture from the current model. As a result, the automaker’s range of Ingenium four-cylinder petrol and diesel engines remain on offer. Power from the 2.0-liter diesel varies between 148 hp and 237 hp while the petrol mills enjoy between 237 hp and 296 hp. ZF’s nine-speed automatic gearbox will be the sole option for most engines but a six-speed manual is offered for a single diesel variant. 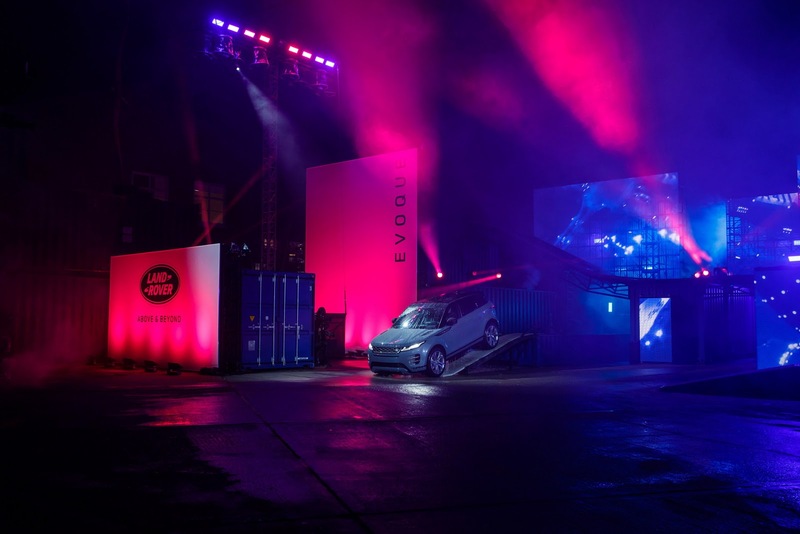 This isn’t all, Jaguar Land Rover has revealed that the updated architecture has been developed for electrification and from launch, the 2020 Evoque will be offered in a mild-hybrid guise that uses a 48-volt electrical architecture. Roughly 12 months afterward, a plug-in hybrid model will hit the market and be the first of its kind used by Land Rover. The company says it will offer CO2 emissions as low as 149 g/km and fuel economy from 50.4 mph on the WLTP test cycle. 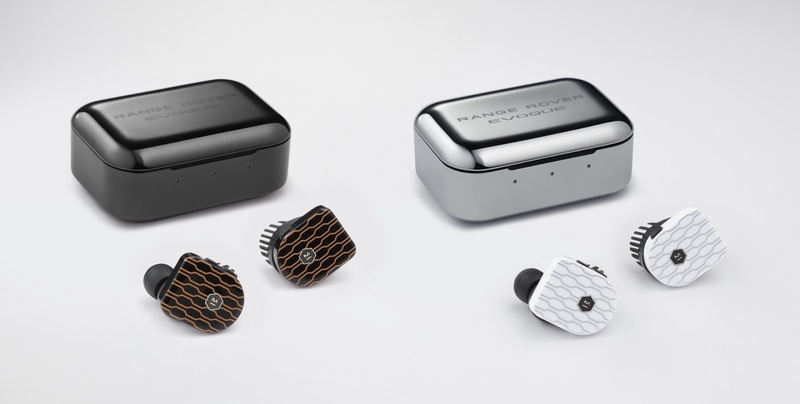 Beyond updating the vehicle’s exterior design and some of its powertrains, Jaguar Land Rover has gone to town on the cabin. 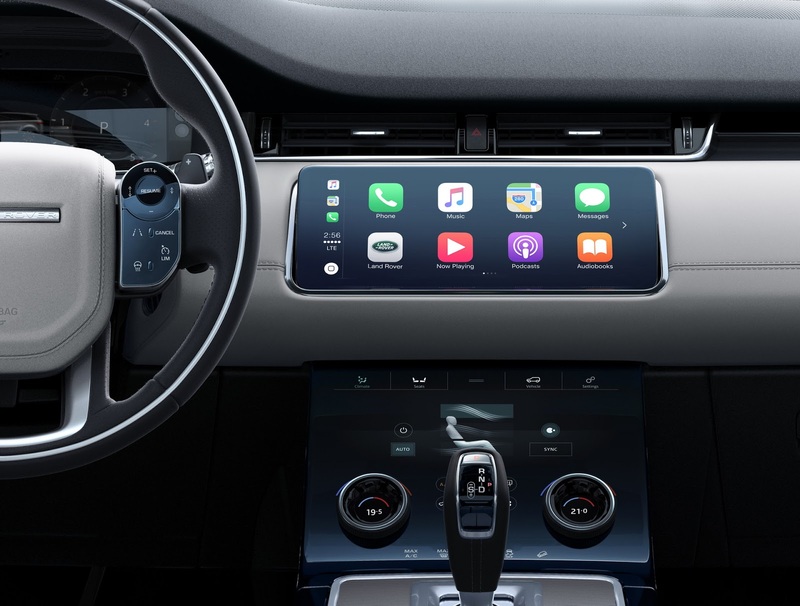 In addition to implementing an all-new steering wheel, the 2019 Evoque features a digital gauge cluster, a widescreen infotainment display, and a second touchscreen display where features like the air conditioning and stereo can be operated from. 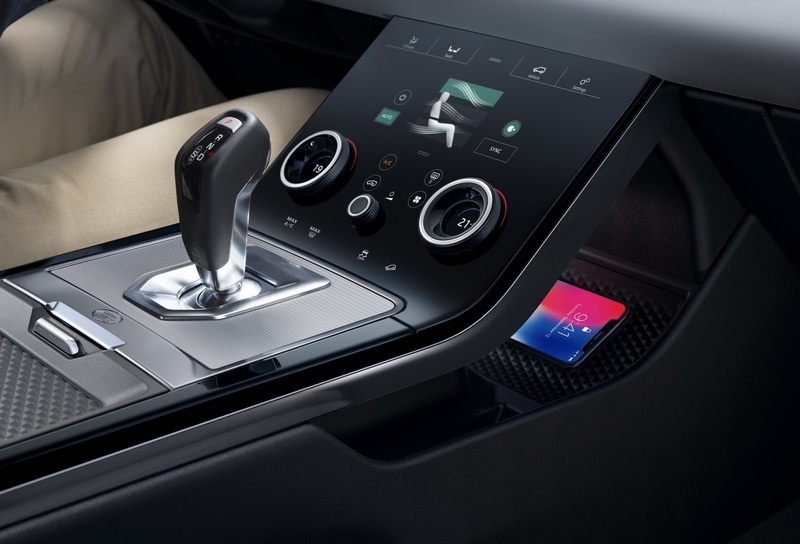 The vehicle’s footprint is almost identical to the outgoing Evoque but Land Rover’s designers have managed to increase interior space thanks to a wheelbase that has been stretched. There is now an extra 20 mm of rear knee room as well as a larger glove box and center cubby. 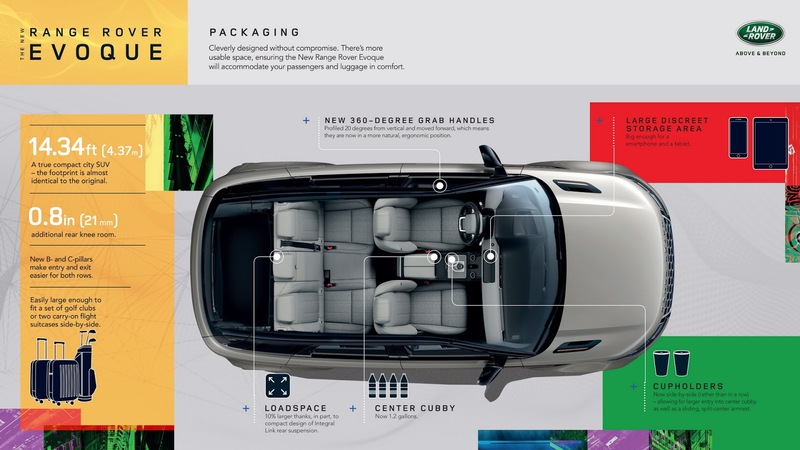 Luggage space also rises by 10 percent to 591 liters and increases to 1383 liters when the second-row seats are folded away. 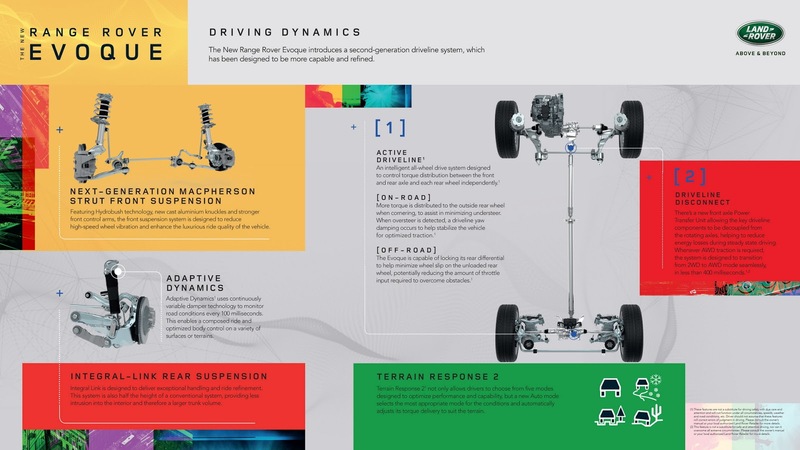 To ensure the vehicle is as capable off-road as a Range Rover should be, the new Evoque has been equipped with all-wheel drive and the second-generation version of the automaker’s Active Driveline with Driveline Disconnect. 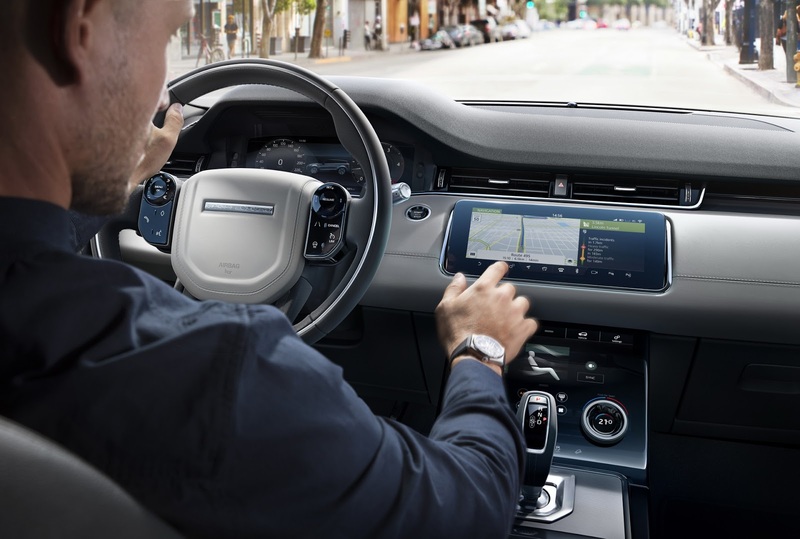 Additionally, the 2020 Evoque has Terrain Response 2 which automatically detects the surface being driven on and adjusts the vehicle’s setup accordingly. 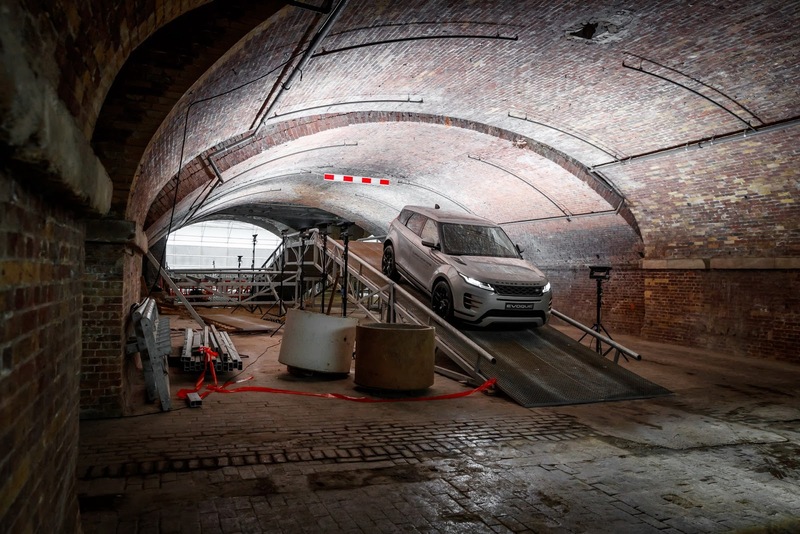 The new Evoque can also wade through water up to 600 mm (23 inches). 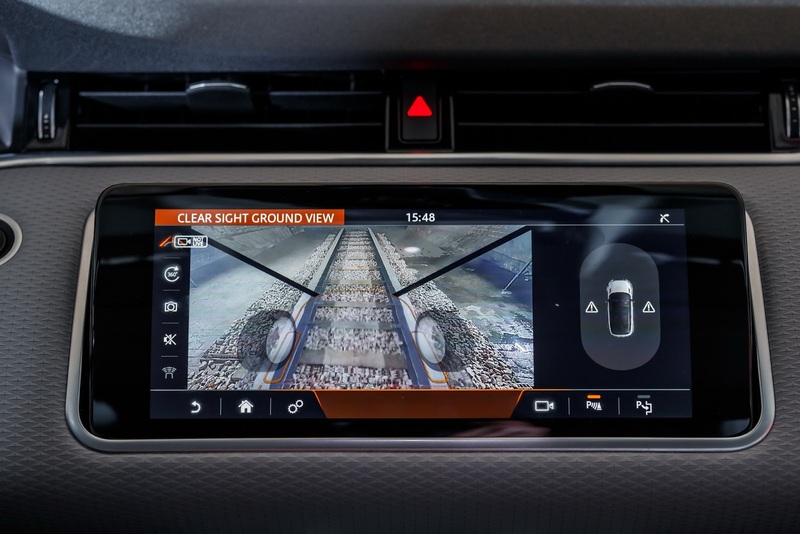 Another interesting inclusion in the new Evoque is Ground View technology. 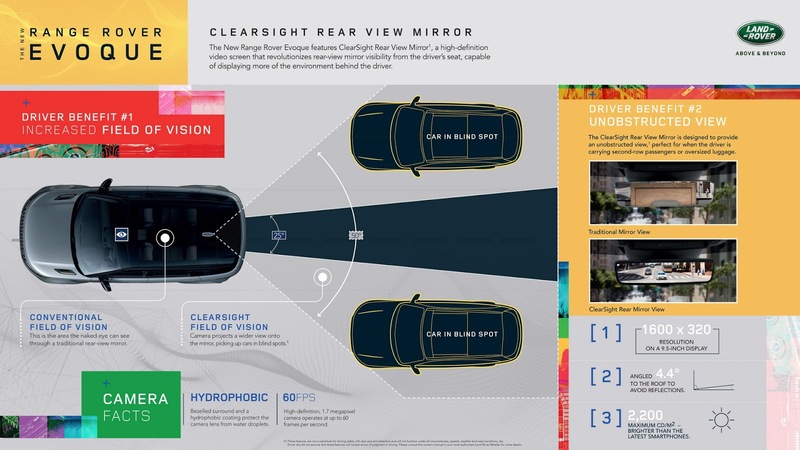 This system effectively makes the bonnet invisible by projecting camera imagery onto the upper touchscreen, allowing for a 180-degree view of what’s under the front of the crossover. 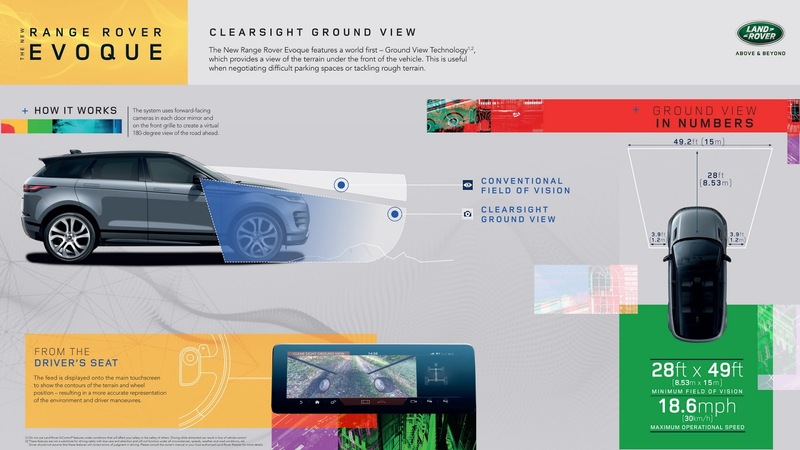 Land Rover previewed this technology way back in 2014. 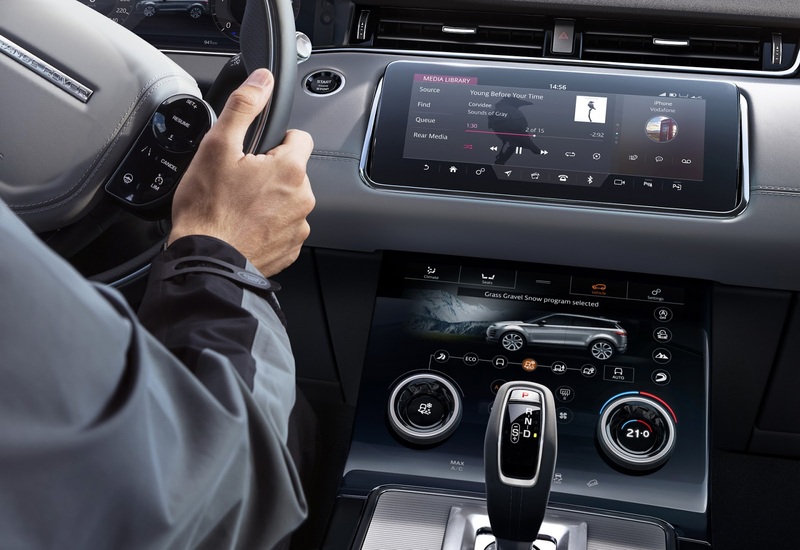 In the United Kingdom, the 2020 Range Rover Evoque starts at £31,600 ($40,700) for the entry-level D150 diesel with front-wheel drive and a manual transmission. Prices jump to £35,100 ($45,208) for the D150 with all-wheel drive and an auto ‘box. The diesel range is topped out by the £38,600 ($49,716) D240. As for the petrols, they range in price from £35,950 ($46,303) to £40,350 ($51,970). For the North American market, we’ll have to wait until the 2019 Chicago Auto Show in February, when Land Rover will share more details, including pricing and start of deliveries.